The USMC For Our Nation T-Shirt is a jumbo two sided print in a sand color. 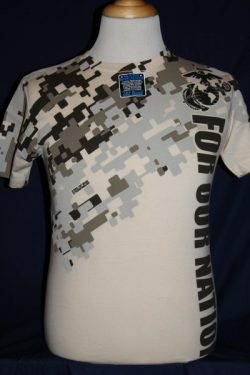 Front Design: Desert Camouflage pattern, USMC Globe and Anchor, and text. 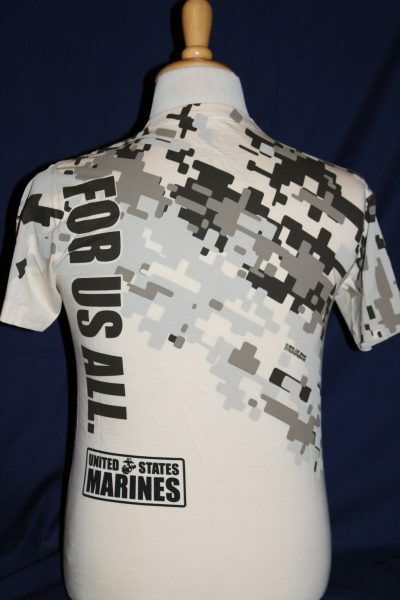 Back Design: Continuation of the camouflage pattern with text. Mens All-over 4.7 oz. t-shirt. 100% Preshrunk Cotton in color sand. This shirt will retain its original color through multiple washing's.